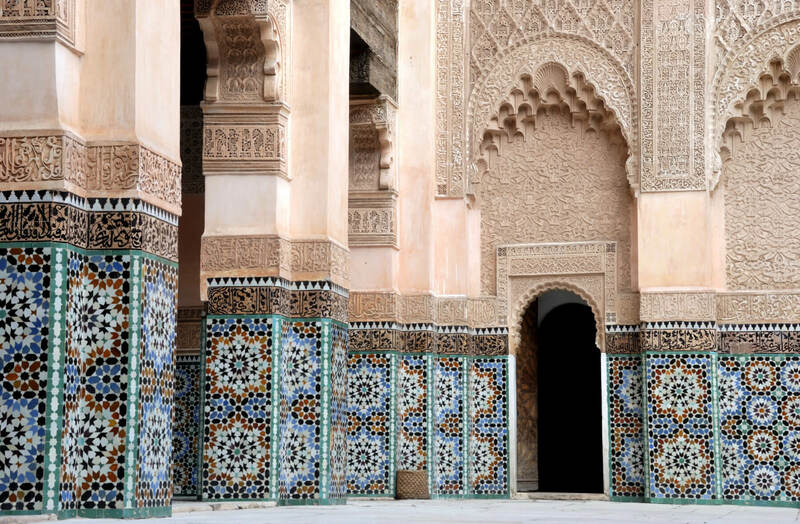 Discover the exotic Kingdom of Morocco: from the living history of Fes’ medina to the majestic peaks of the High Atlas Mountains, down through the lush valleys of Berber farmlands and onto the vibrant Red City of Marrakesh. Morocco’s cultural treasures and heritage are intricately woven into the fabric of its society today. Dazzle your senses while browsing the spice markets and labyrinth-like souks, then go on to explore golden dunes and tranquil palm groves. 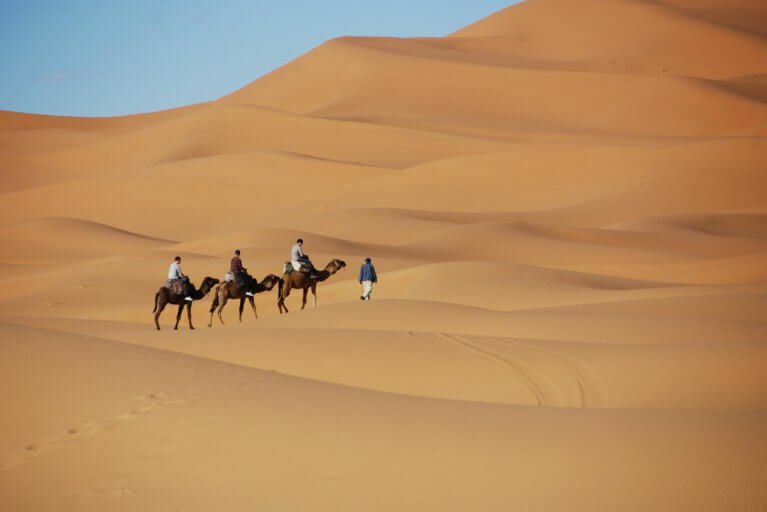 Please note: this private Morocco tour is an example, as all of our luxury journeys are custom-made. 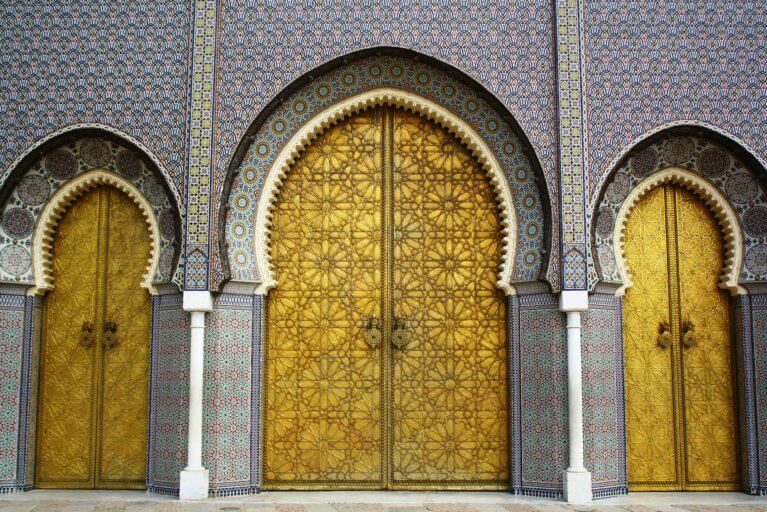 Your luxury Morocco tour starts with your arrival at Fes or Casablanca airport (where you will receive VIP assistance with customs and luggage). You will be greeted by your personal Blue Parallel host and taken to your luxury hotel in the charming city of Fes. Begin your luxury Morocco tour with a visit to the stunning gates of the Royal Palace located outside the old city. Move on to the city’s Jewish quarter called the Mellah, home to a historical Jewish cemetery and synagogue. 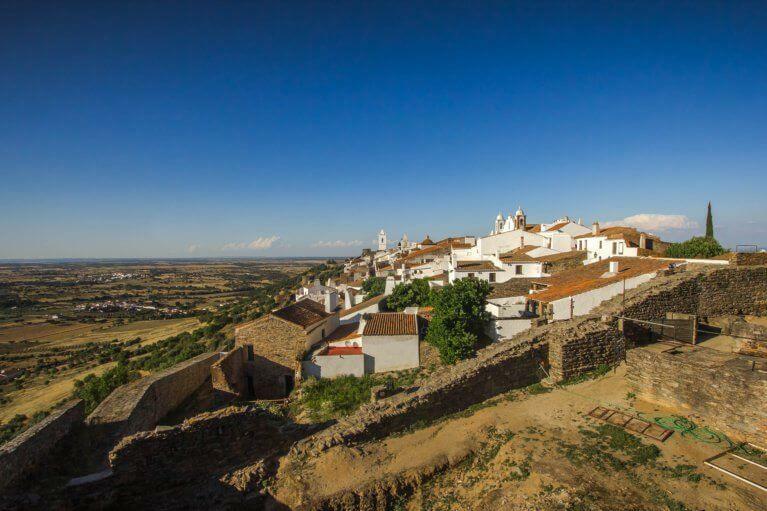 Following your sightseeing, drive through El Andalus, a neighborhood of the old city characterized by Andalusian architecture. In the evening, enjoy a traditional Moroccan dinner at a beautiful riad. 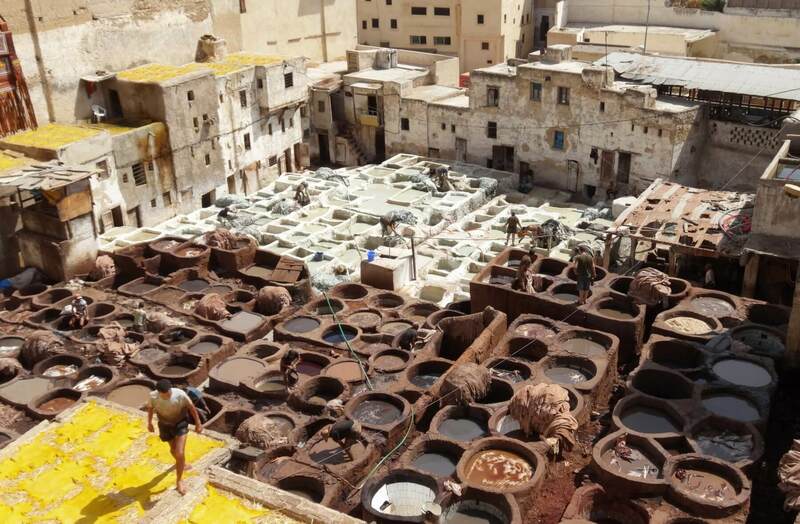 The next day, explore the Medina of Fes with your expert guide. This UNESCO World Heritage Site is one of the world’s largest car-free urban areas. 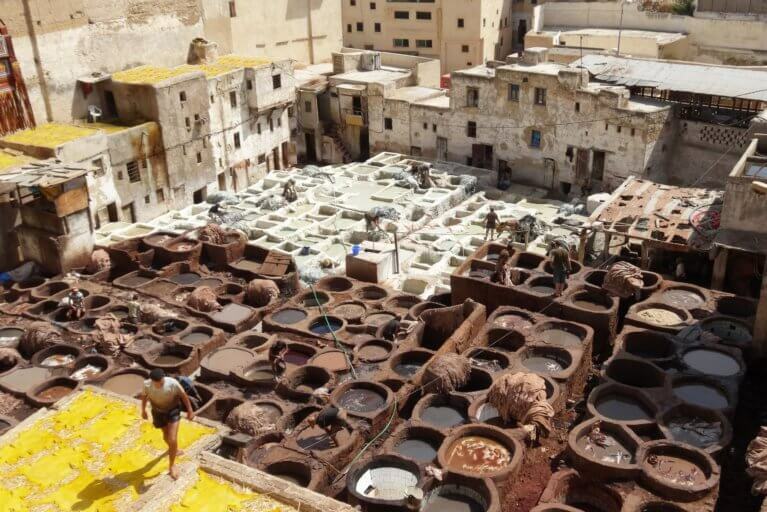 Stroll through the famous leather tanneries and experience them from above on a lookout terrace. 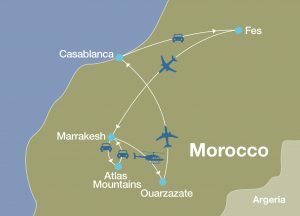 In the morning, your personal host will take you to the airport for your flight to Marrakesh. 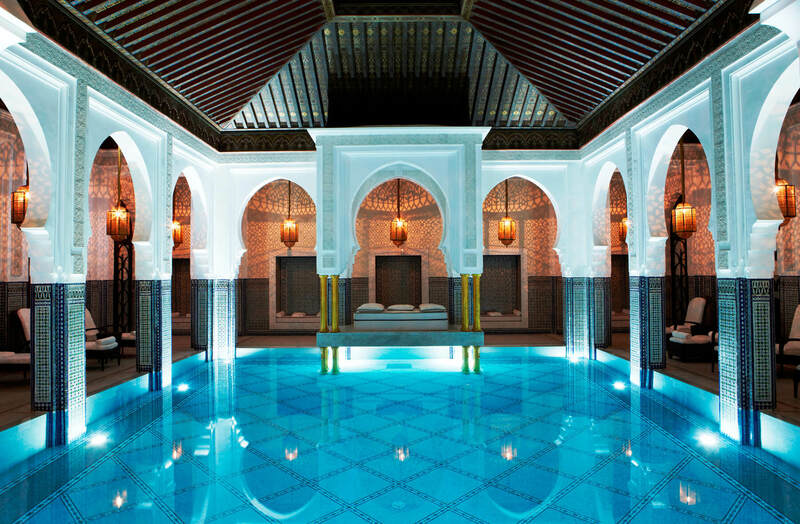 From here, you will continue by private car transfer to Kasbah Tamadot, Richard Branson’s luxurious retreat in the heart of the High Atlas Mountains. Embark on an introductory hike for sweeping views over the property before enjoying tea and refreshments on the rooftop terrace of a traditional Berber house. 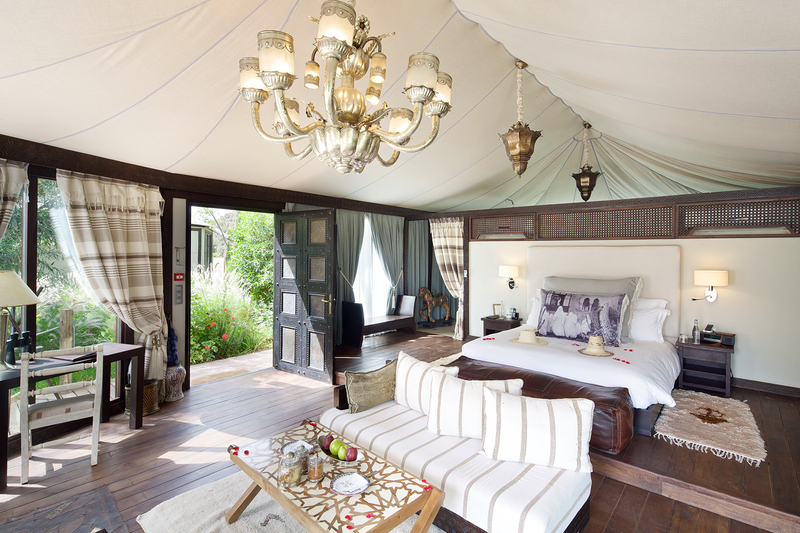 In the evenings, relax over delicious Moroccan meals. The next day, choose from an array of exciting outdoor activities, such as downhill mountain biking through the Ouirgane Valley and the Mount Toubkal National Park, then through remote Berber villages nestled in the mountains. 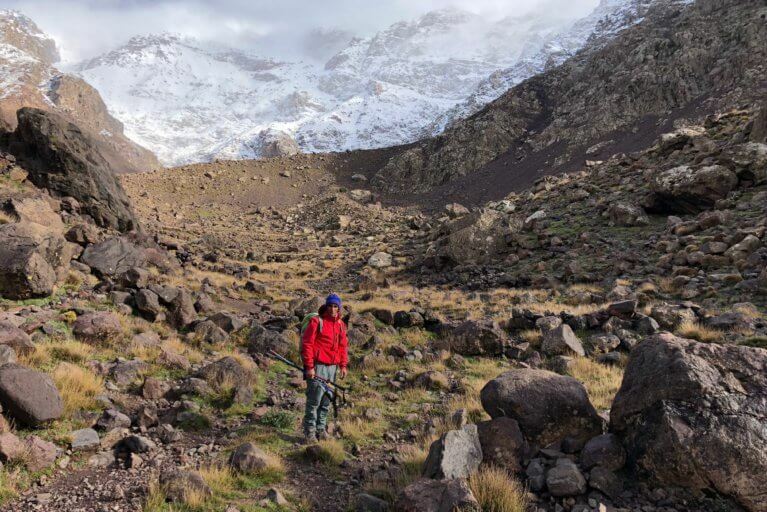 Alternatively, discover the High Atlas Mountains during a hike featuring a gradual climb and panoramic views. Stop for lunch in a local restaurant in a remote village, dining on the terrace with the breathtaking mountains towering above you. Return to the hotel to relax by the infinity pool of the property or your luxury suite tent, complete with a private terrace overlooking remote mountain villages. 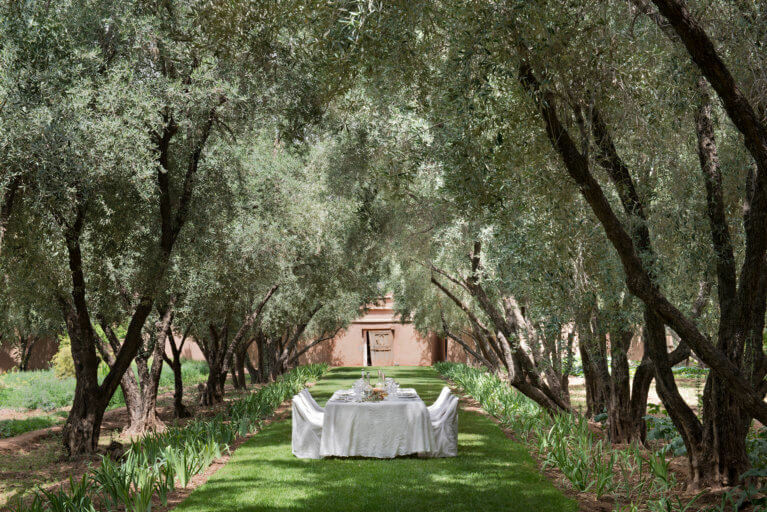 Following breakfast, you will be privately transferred to Marrakesh. On the way, discover Anima, Austrian artist Andre Heller’s whimsical botanic garden. 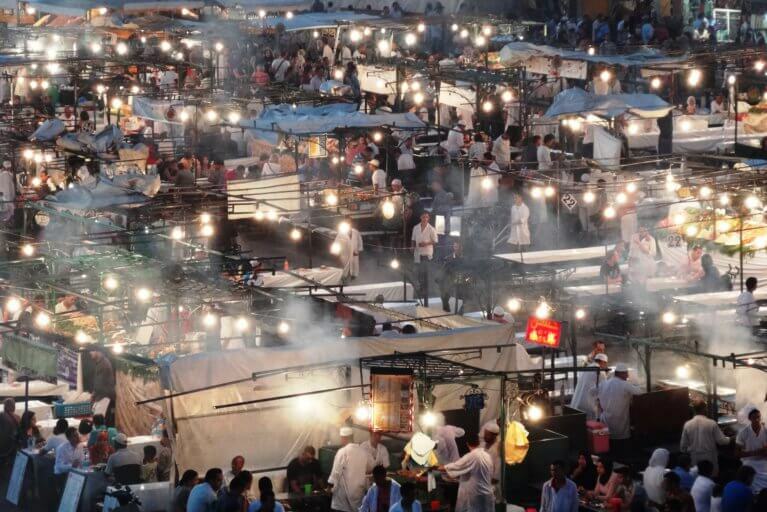 After settling into your luxurious hotel, an oasis of calm in the vibrant city, at sundown head to the famed Jamaa el-Fna square, a UNESCO World Heritage Site. There, you will enjoy a taste of authentic Moroccan street food before exploring Morocco’s magical side with its snake charmers, amazing acrobats, mesmerizing story-tellers, magicians, joker monkeys, and peddlers of traditional medicine. The next day, your expert guide will introduce you to the “Red City,” as you explore the various phases of Marrakesh’s history by visiting its most celebrated highlights. 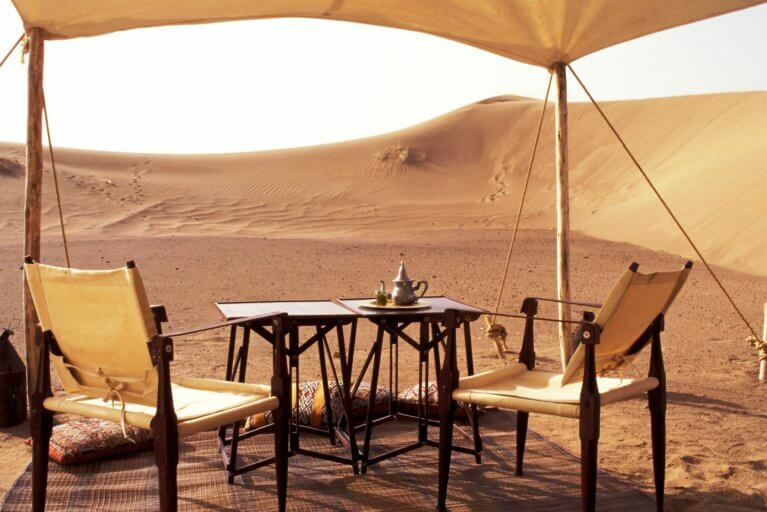 Enjoy lunch in the trendy Nomad eatery before exploring the famous souks. End the day with a delicious dinner at one of Marrakesh’s many modern restaurants, with optional cocktails to follow. 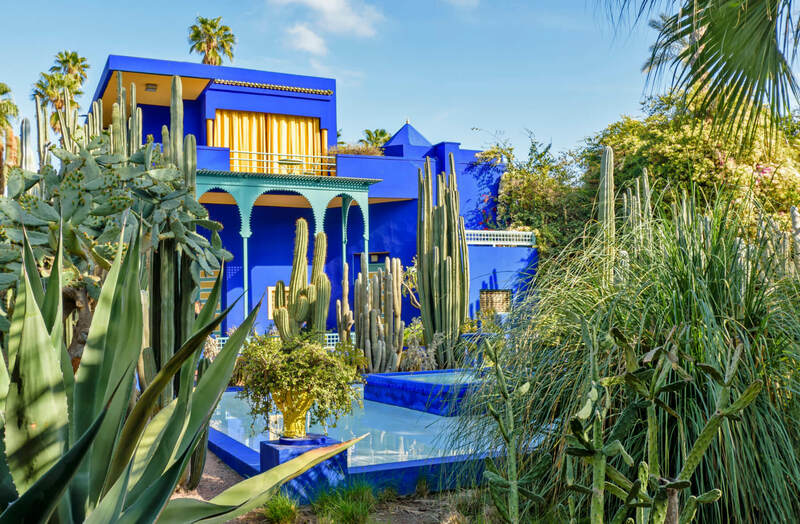 The following day, experience the best of modern Morocco by visiting Majorelle Gardens and the Berber and Yves Saint Laurent Museums. If you wish, your host can take you on an insider shopping experience, where you will have exclusive access to high quality rugs and other beautiful treasures. 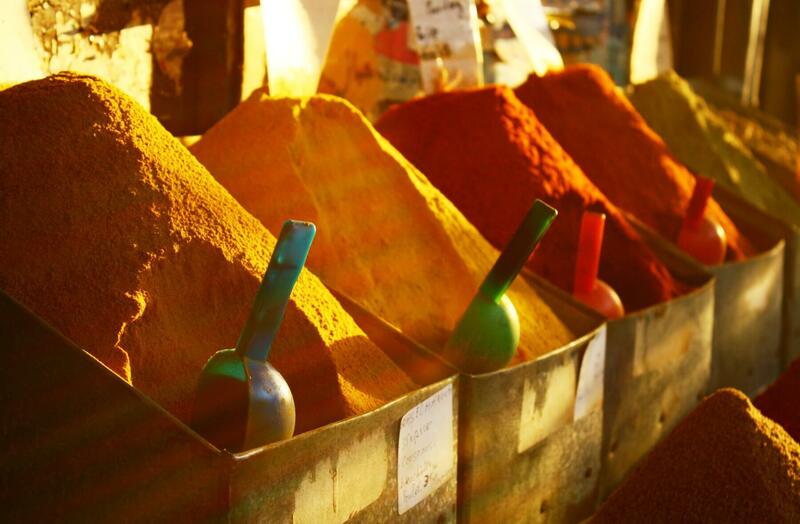 Later, take part in a private Moroccan cooking class conducted by a traditional chef. 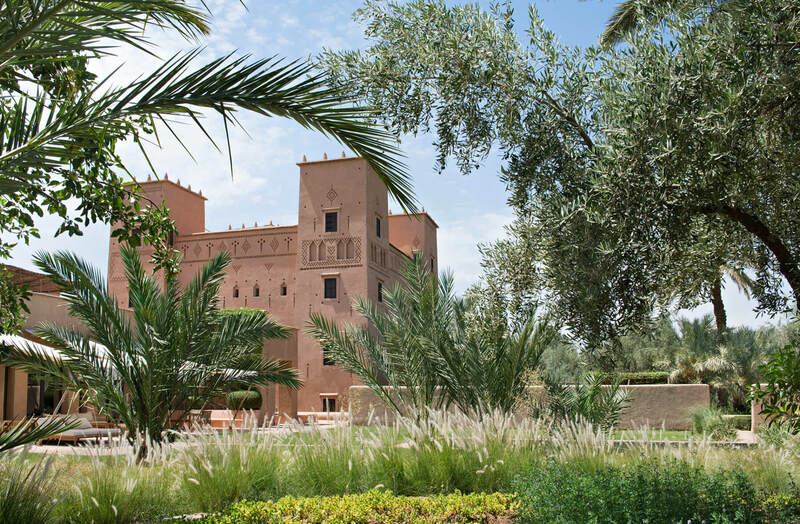 Take a helicopter ride to Ouarzazate, where your host will be waiting to greet you for your short drive to the gorgeous Dar Ahlam Kasbah. 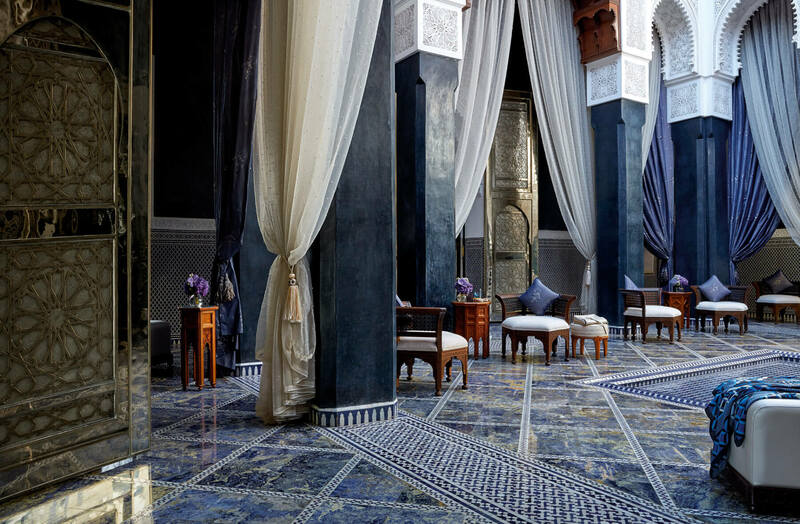 This luxury boutique property was built in the traditional architecture of the region: a red fort with a labyrinth of mysterious hallways. Upon your arrival, enjoy a private picnic lunch under the shade of the olive trees, with your feet in a flowing stream. 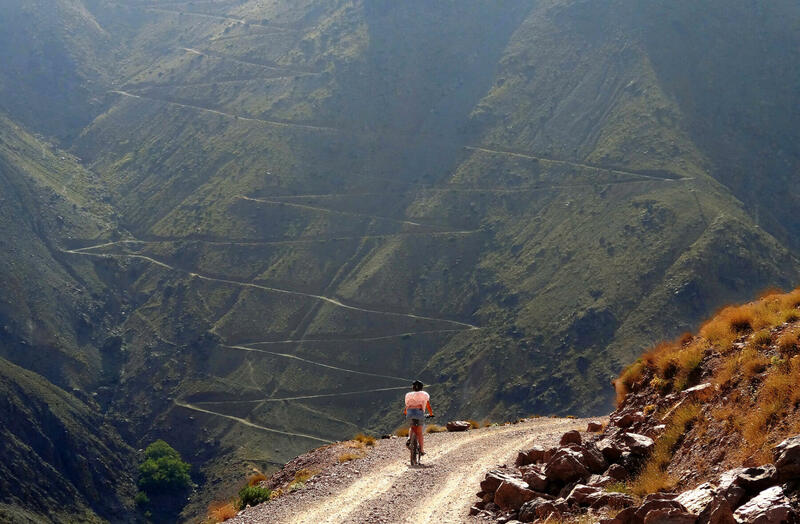 In the late afternoon, experience a camel trek to Ksar Ali where you will enjoy spectacular 360° views of the valley and oasis. 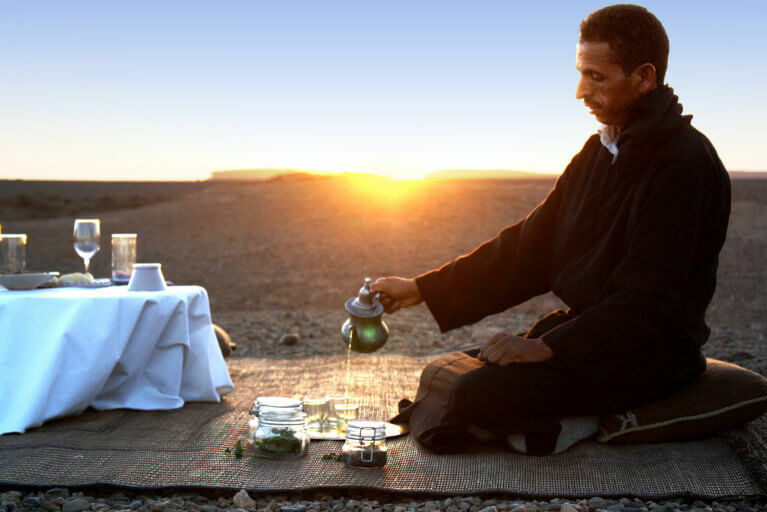 Take part in a Moroccan tea ceremony followed by gourmet aperitifs as the sun sets. In the evening, enjoy a delicious themed dinner at Dar Ahlam. The following morning, go for a nature walk through the Almond Valley with your expert guide, walking along paths lined by pomegranate, almond, and olive trees tended by local families. 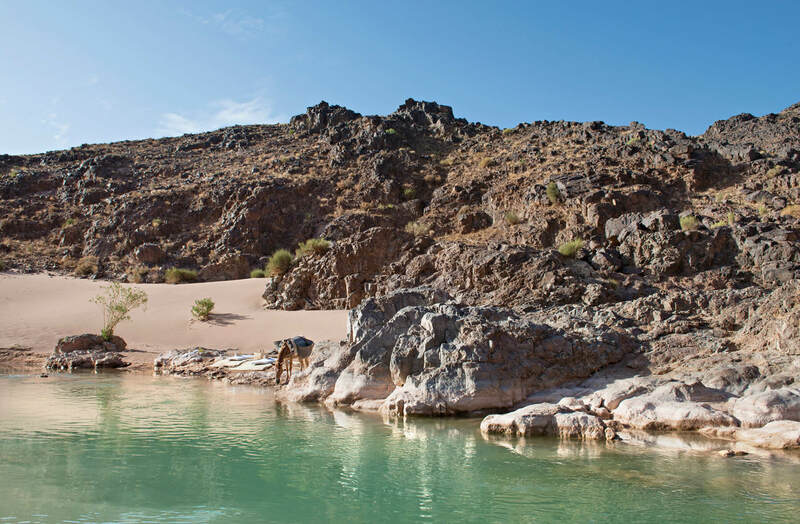 Stumble upon an abandoned Kasbah that dates back to the 11th century, as you walk through the impressive ruins learn about the history of the region. For lunch, return to Dar Ahlam and enjoy a private gourmet meal prepared especially for you. At the property, take a refreshing dip in the pool and spend the remainder of the afternoon at leisure. Later in the evening, transfer to the Gorges of Sidi Fla for a stunning candle-lit dinner by ancient rock formations alongside the river as the sun sets. On the last day of your private Morocco tour, you will take a private transfer to the Ouarzazate airport for your commercial flight to Casablanca where you will catch your international flight home. Enjoy the celebrated golden dunes of the Sahara Desert in your own fully staffed tent camp. Blue Parallel can arrange for private helicopter transfers in and out of your private camp. 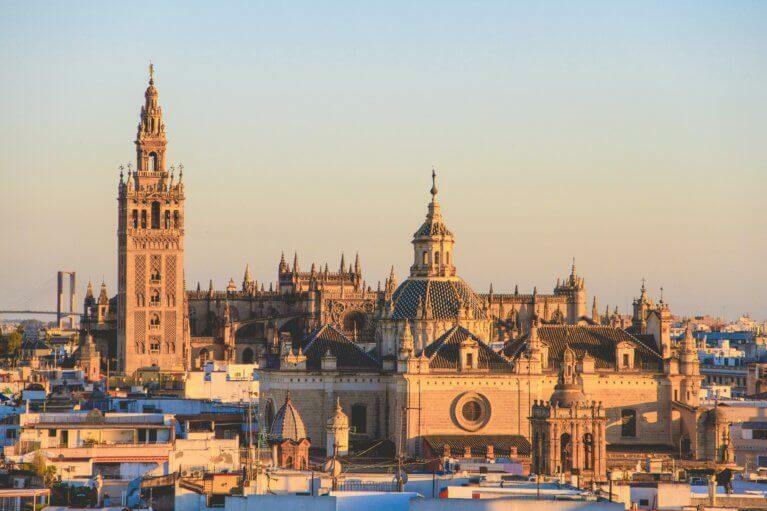 Visit the historical region of Andalucia in Spain, home to a captivating mix of Arab and Christian architecture and traditions. Discover Portugal, a country made up of historical landmarks, lush vineyards and charming medieval towns. Note: Prices will vary based on the specifics of your itinerary and the number of passengers in your party.